dates subject to change; no facilities in winter (parking at gate only). 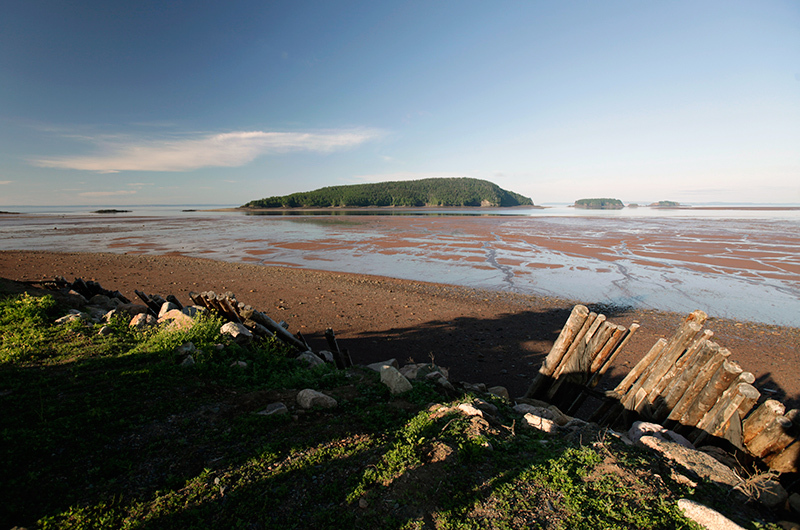 Rising majestically from the shores of the Bay of Fundy, Five Islands Provincial Park is one of Nova Scotia's premiere outdoor destinations. 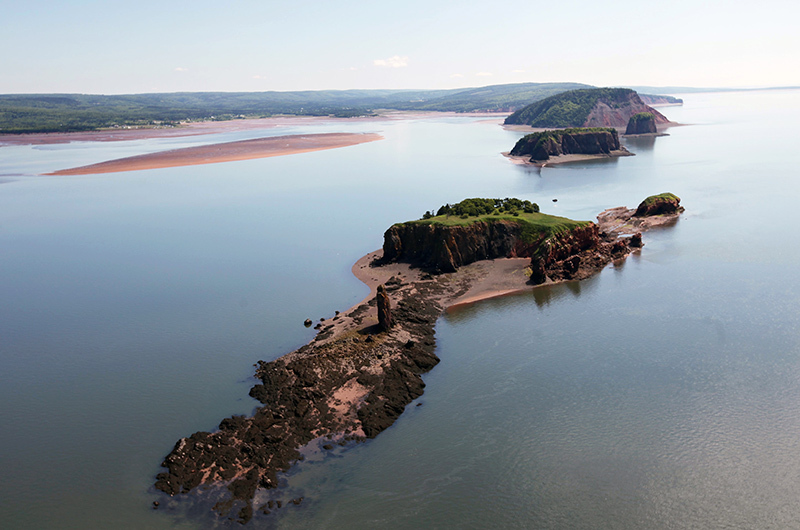 Situated 24 km (15 mi) east of Parrsboro, the park features 90-metre (300-ft.) sea cliffs overlooking the world's highest tides, a spectacular setting for camping or any of the many opportunities that abound for hiking, beachcombing, rock collecting, and clam digging. Note tide times before walking on the mud flats as the Fundy tides rise very quickly. Red Head Trail offers four of the best views of the islands and the basin. Enjoy hiking, cross-country skiing and snowshoeing on the west side of Economy Mountain with 5.2 km (3.2 mi) of tracked trails, which are marked and mapped. Although there are no facilities or services offered in the winter months, the park is open for winter recreational activities. The park road is normally plowed to the parking lot near the start of the Economy Mountain Trail. Joggins Fossil Cliffs, Cape d’Or Look-off, Fundy Geological Museum, Ottawa House, The Ship’s Company Theatre (Parrsboro), and Cobequid Interpretive Centre (Economy). 92 open/wooded sites, including 36 sites with electrical and water services (17 pullthroughs). Group sites available. flush toilets, showers, dishwashing station, disposal station, two picnic areas (one close to the highway, the other by the Minas Basin shore), an unsupervised beach, trails, fire grills, wood, and ice. This is a Campground Host park. Leashed pets permitted. Directions: Hwy 2, 23 km (14 mi) east of Parrsboro. Directions: 24 km (15 mi) east of Parrsboro.